Addition and subtraction form the basis of every calculation, no matter how simple or complex. 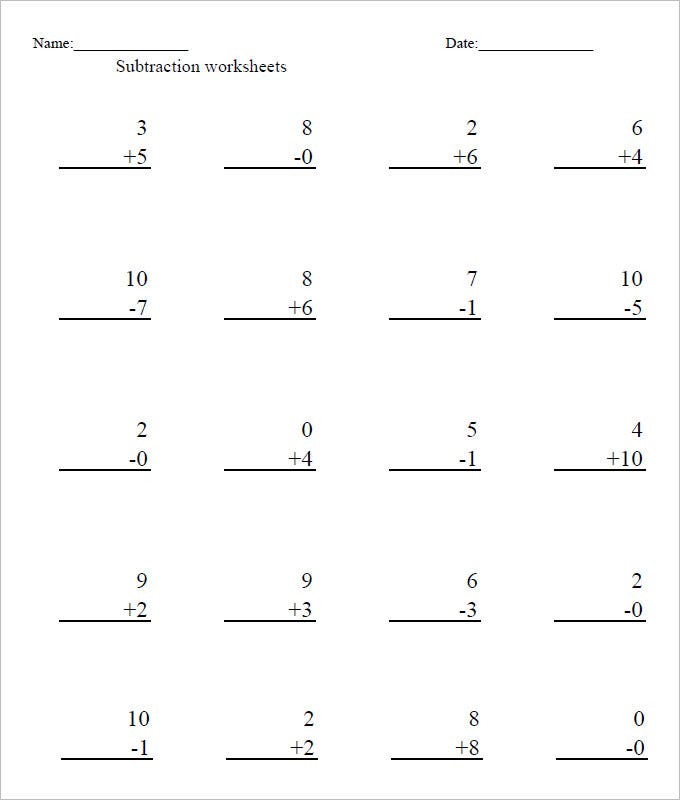 Hence, the students must be encouraged to practice the addition and subtraction worksheets to improve their maths basic. The teachers are often needed to offer these worksheets to the entire class to verify the students’ strength and fundamental maths know-how. 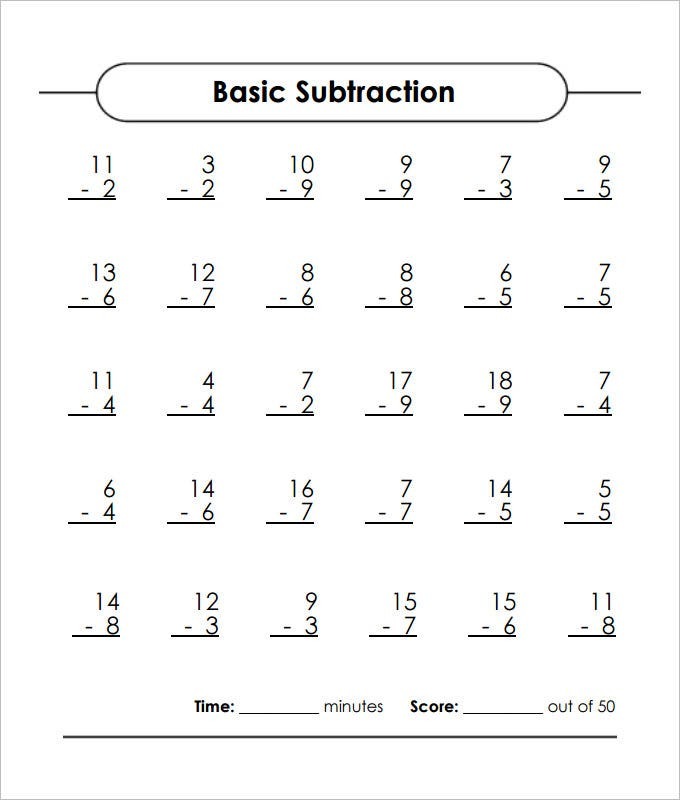 If your child finds adding or subtracting three digit numbers difficult, then making him practice with a Three Digit Addition and Subtraction Worksheet Template will strengthen his grip. Make him practice as many of these templates as possible to see desired results. 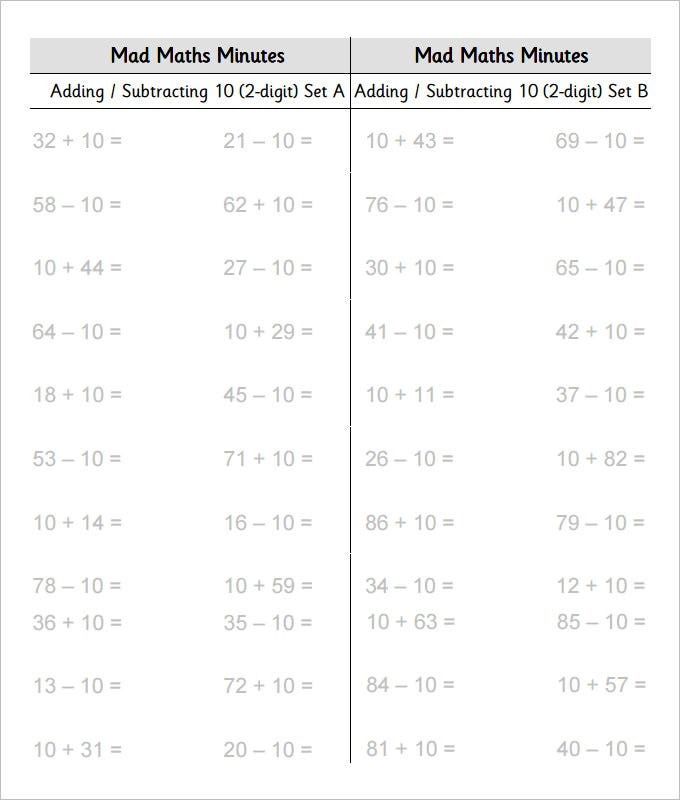 What is so unique about a Domino Addition and Subtraction Worksheet Template is that it comes with problems that involve addition or subtraction of dots. 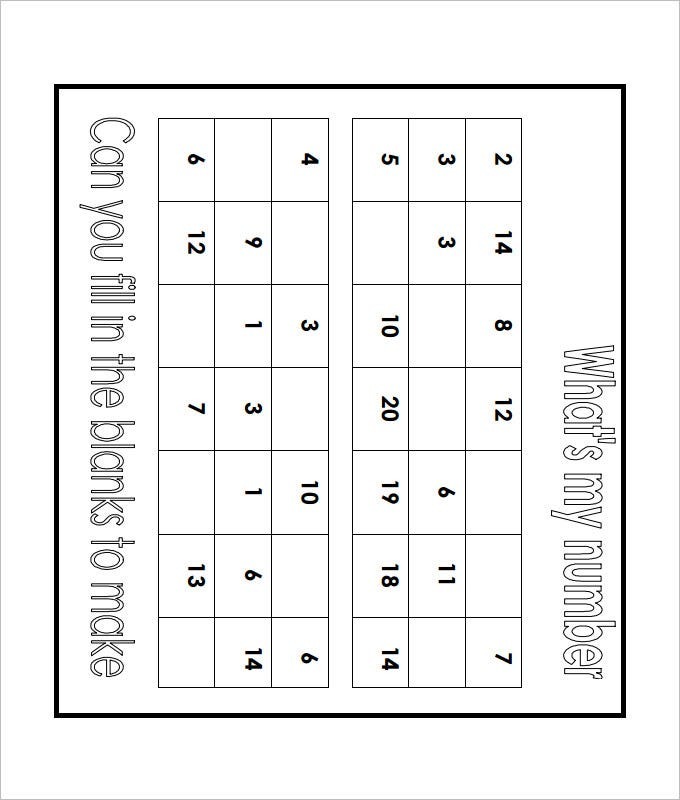 Small children who don’t quite understand the concept of numbers can benefit a lot from these templates. This Color the Bulb Addition and Subtraction Worksheet Template, allows kids to have fun with colours apart from engaging in calculations. 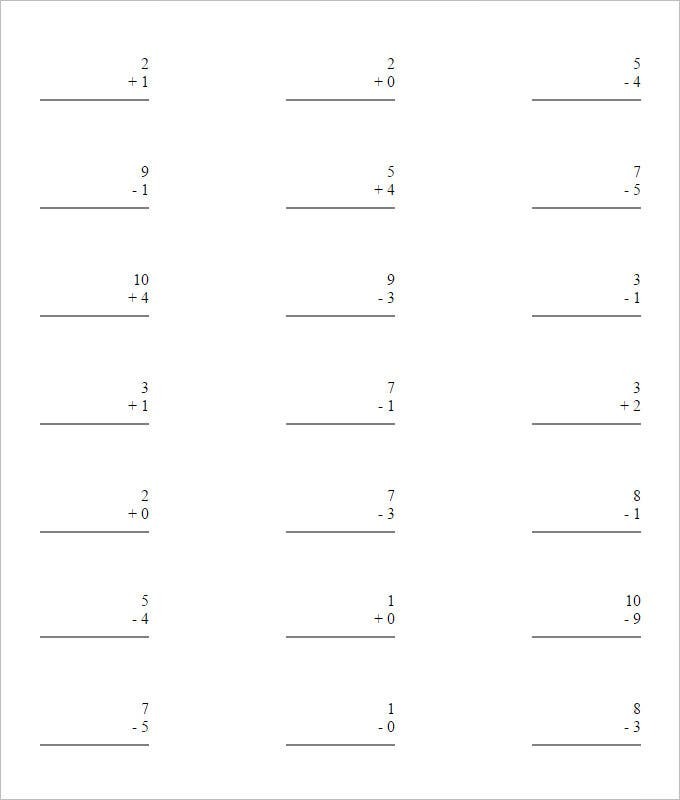 Just make your child practice one of these templates and you will find him enjoying his mathematics practice session more than ever. 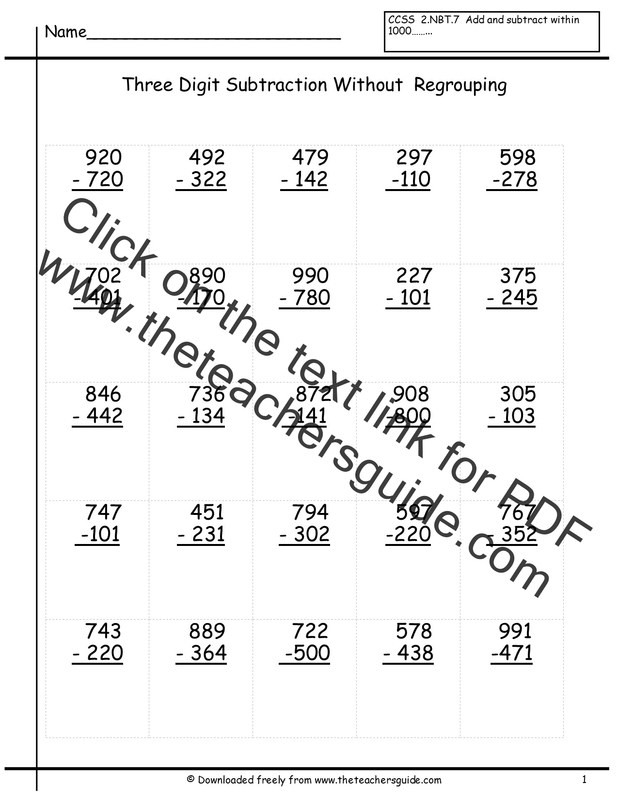 This template is best suited for older kids who can solve difficult sums of addition and subtraction. 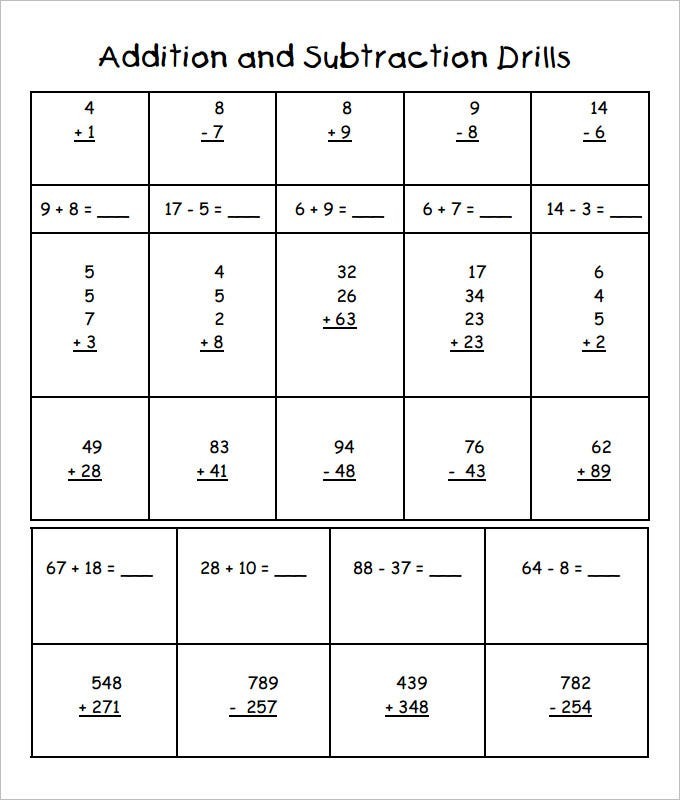 This Large Addition and Subtraction Worksheet Template includes problems wherein up to seven digit numbers have been used. If your child loves challenges, then this template will highly impress him. 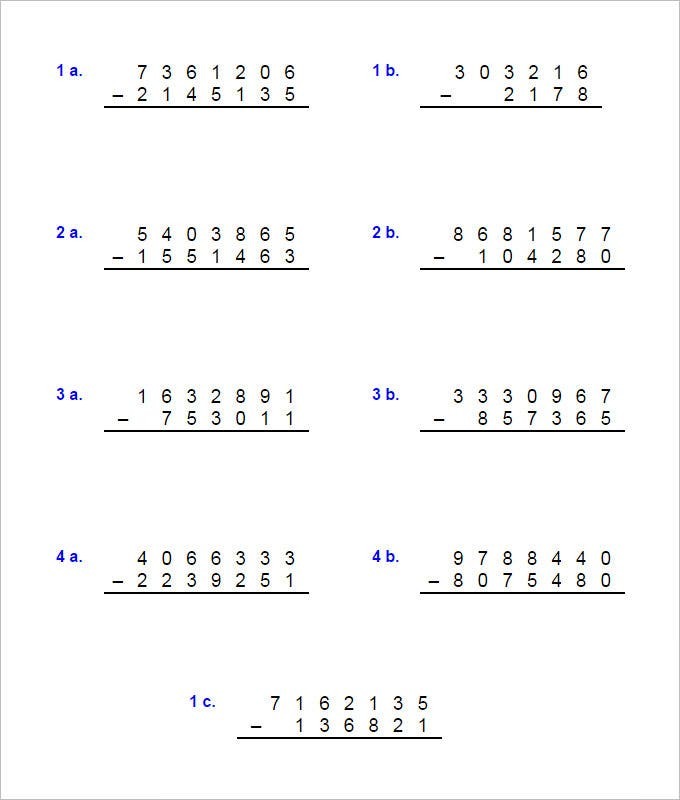 Now, creating such worksheets every now and then gets really tough for the maths teachers. 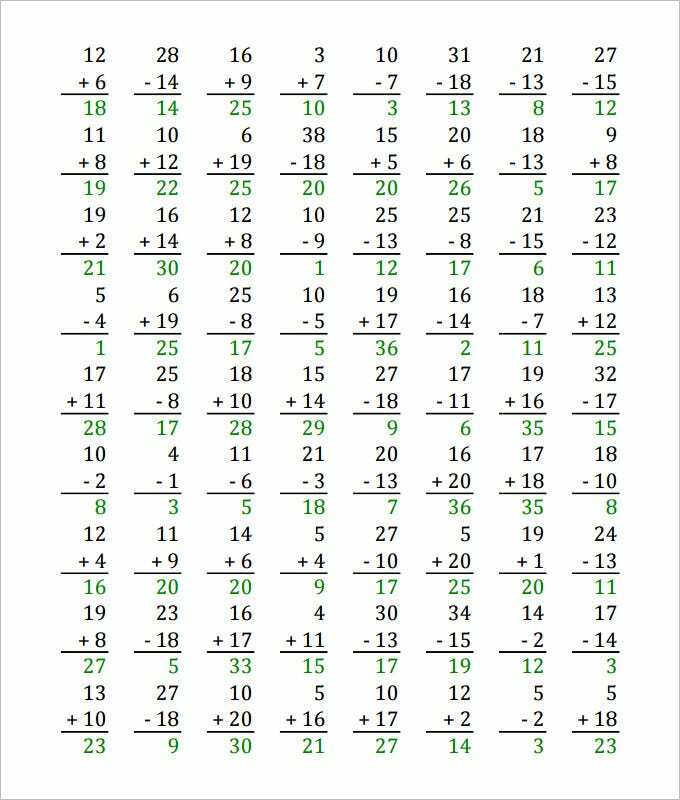 But you would be glad to know that today you have sample addition and subtraction worksheets online to relieve much of your burden. 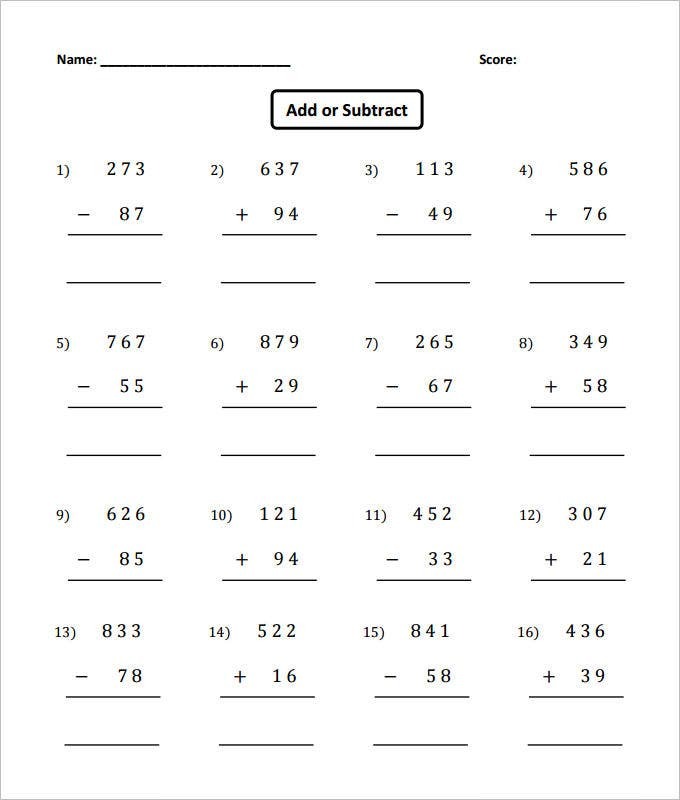 These online maths worksheets are like readymade worksheets where you have the addition and subtraction problems mentioned already. You would just need to download, print them out and pass them to your students. There is no need to create a complete worksheet from scratch. If you are a primary school teacher, you will find fun maths worksheets online for your little students. 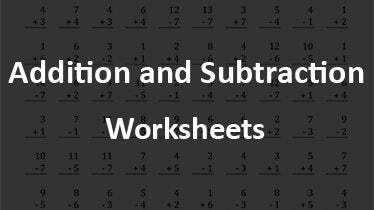 There are even adding and subtracting fractions worksheets online if you are a High school maths teacher. > Why Addition and Subtraction Templates are Important for your Child? 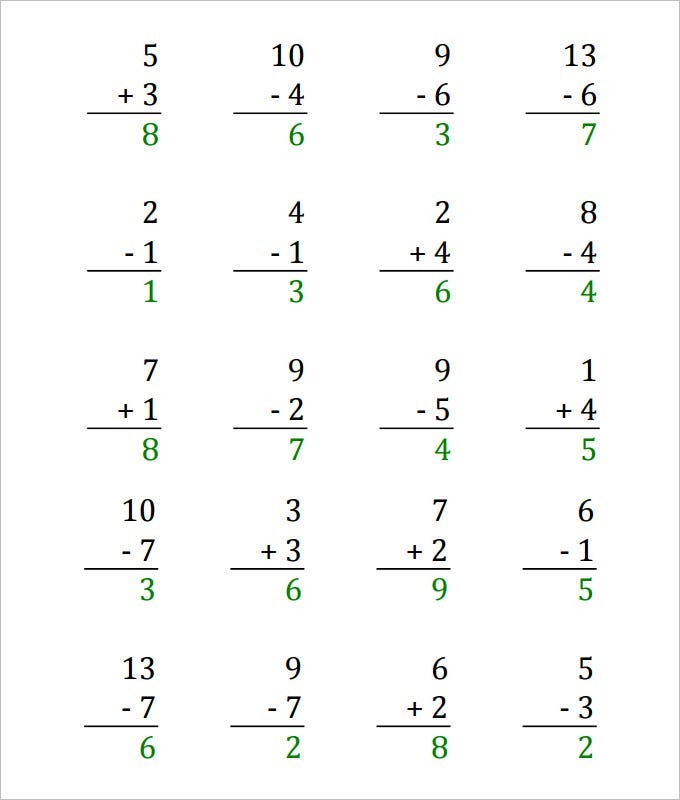 If you, as a parent, have difficulty teaching your kid the rules of subtraction and addition then these templates will help you immensely. Since, they are readily available over the internet, you can have a good collection of them. 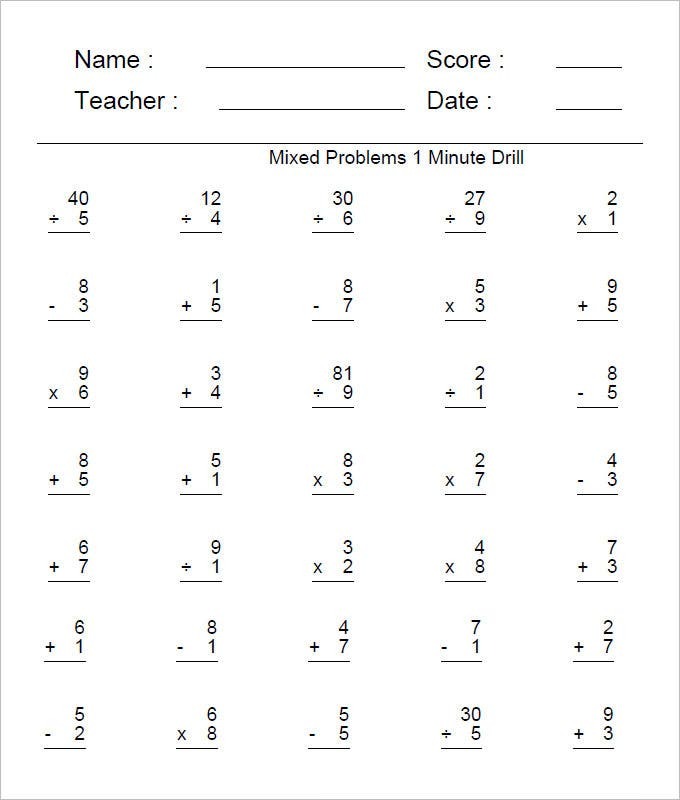 All you need is to hand one of these worksheets over to your child and see how many problems he can solve correctly. When he completes a template successfully, you can give him a new one with a higher difficulty level so as to assess his progress. This way, your child develops a strong grip over basic mathematics. So, if you want to make your child love maths, you will have to have these templates. They are a great way to let your child practice.